The logo is very significant for building brand recognition. A great logo helps to draw more attention and distinguish you from the mass. Are you looking for a way to create an eye-catching and professional logo? If you are just starting a new business and have a tight budget, you may considercreating a logo by yourself because it’s definitely expensive to hire a pro designer. Here the DesignEvo website offers the cheapest and easiest way for logo design. 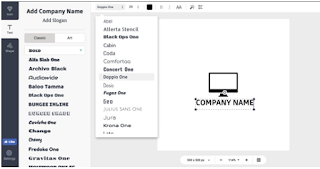 DesignEvo is a free online logo application with over 4000 templates which make it easy for everyone to create attractive and unique logos. 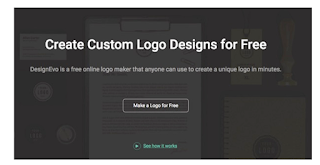 You can easily design and download your custom logo on the website using a browser. Your final logo can be used for various purposes such as company logo, website logo, profile logo, software & application logo, brand logo, business logo etc. All of them can be easily created based on the pre-made professional templates. So when you want to make a logo but you do not know how to start, DesignEvo is recommended. 1. 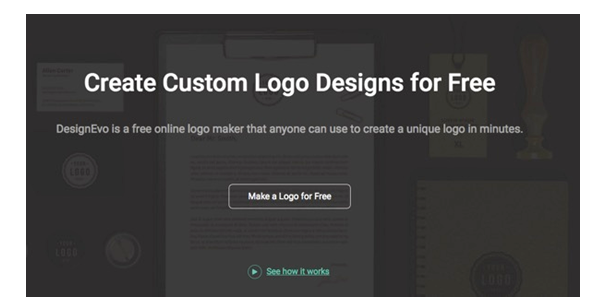 Access to DesignEvo.com and click "Create a Free Logo". 2 Select a template using category or by searching with keywords. 3. Enter your logo name/slogan and click "Get Started" to open it. 4. From the icon tab, you can search for and add the icon you want from over 1,000,000 presets. There are so many kinds of icons available. 5. You can also add your own text from the Text tab. You can choose from over 100 different fonts. 6. 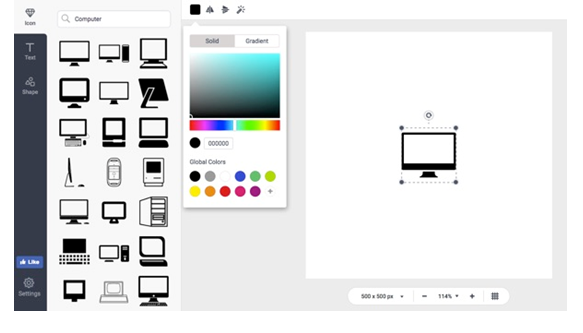 Under the Shape tab, hundreds of vector shapes can be added to take your logo to the next level. 7. 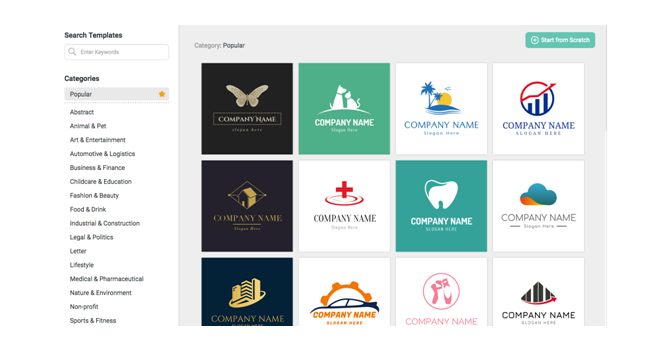 On the top menu, you can change the backgRound color or generate different logos based on the added elements quickly. 8. Download your logo by clicking “Download” button on the top and you can get free jpg/png files. Easy and quick to use. No need to download and install any programs. Free downloads without a service watermark. Over 4000 professionally designed logo templates. Over 1,000,000 vector icons available. Large library of fonts and word art. Flexible and handy customization tools. 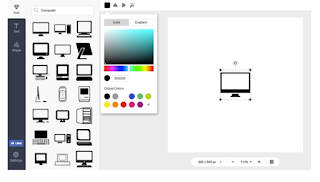 DesignEvo makes it easy to create logos in the browser. 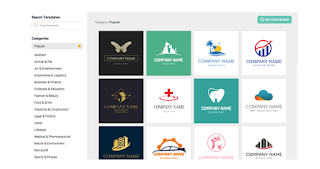 It is quite tough to think about making a logo by yourself, but it is good to be able to easily create a cool logo design based on a lot of templates in less than one minute. 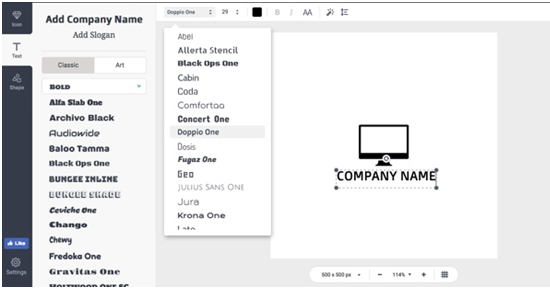 Besides the massive templates, there are so many kinds of icons, shapes, and fonts, so you can customize the original logo with the easiEst way in DesignEvo.